You’ve had beef stew but have you had Guinness stout Irish stew? I love celebrating holidays, even those that I have nothing to do with. It gives me a chance to teach my kiddos about other cultures. Soon, it’ll be St. Patrick’s day. Now, I’m not Irish nor am I Catholic but I like to celebrate the holiday with my kids making different cuisines that mark the day. This year, we will be making Guinness stout Irish stew. I can’t wait to make this yummy stew! In fact, a few sisters down the street from me are Irish and they are the ones who taught me how to make this stew only they used lamb instead of beef. The sisters made such an impression on my family with their delicious Guinness stout Irish stew that it inspired me to make it on my own this St. Patrick’s Day. USE THE RED NEXT PAGE LINK BELOW FOR THE GUINNESS STOUT IRISH STEW RECIPE. 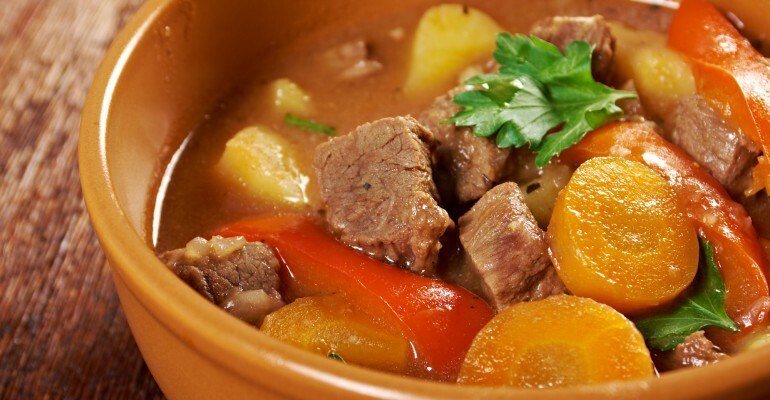 Quick Tip: You know what goes great with this Guinness stout Irish stew? Irish soda bread!